The candidate must hold a Bachelor's Degree, with at least 50% marks or equivalent CGPA [45% in case of the candidates belonging to Scheduled Caste (SC), Scheduled Tribe (ST) and Differently Abled (DA) (It may also referred to as Persons with Disability (PWD) category)], awarded by any of the Universities incorporated by an act of the central or state legislature in India or other educational institutions established by an act of Parliament or declared to be deemed as a University under Section 3 of the UGC Act, 1956, or possess an equivalent qualification recognized by the Ministry of HRD, Government of India. The percentage of marks obtained by the candidate in the bachelor's degree would be calculated based on the practice followed by the university/institution from where the candidate has obtained the degree. In case the candidates are awarded grades/CGPA instead of marks, the conversion of grades/CGPA to percentage of marks would be based on the procedure certified by the university/ institution from where they have obtained the bachelor's degree. In case the university/ institution does not have any scheme for converting CGPA into equivalent marks, the equivalence would be established by dividing the candidate's CGPA by the maximum possible CGPA and multiplying the result with 100. The candidate must have a minimum of three years of full-time work experience as on August 1, 2016. 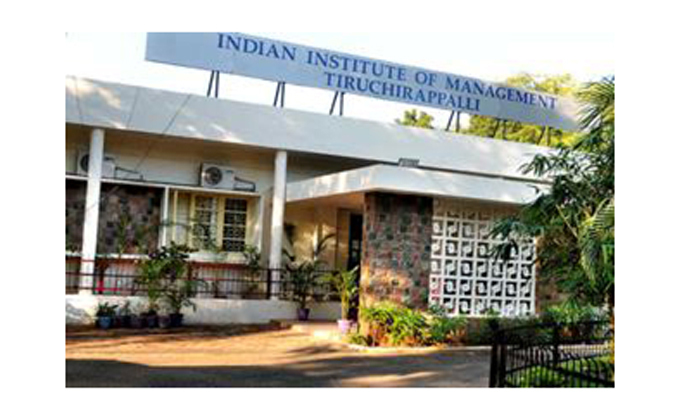 The last date for receipt of applications is Monday, June 6, 2016 at IIM Trichy.